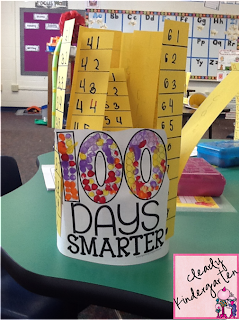 Friday was our 100th day of school!!! I love doing fun thing in the classroom but last week just seemed REALLY stressful, I HATE weeks like that. Especially when I don't know why, my kiddos was really good so it wasn't that! I did have a parent issue that was drug out for the whole week (like I got an email on Sunday night and it wasn't resolved until the end of the day Friday!) and then turned out to be something really easily solved, so I guess that must have been part of it. But anyway we did manage to have some FUN on Friday! 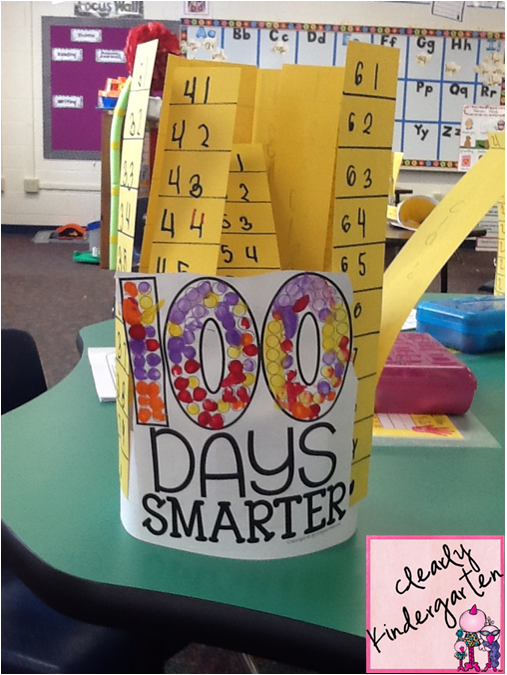 We started by making these cute 100's day hats. My kiddos spent about 45 minutes or maybe more writing the numbers 1-100 in groups of 10 on strips for their hats. The kiddos did a GREAT job, you could have heard a pin drop in my room while they worked. Then they arranged them in order on a sentence strip and glued them down. 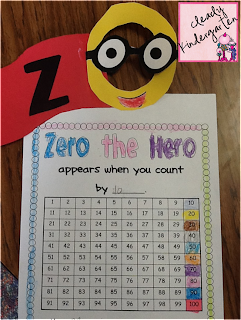 Next we added the cute front plate from the 100th day of school hat by Kinder Craze and Q-tip painted the 100 dots. The kiddos loved the painting! Then DISASTER struck! It was my own fault! I was being impatient! It was getting close to lunch time and I had other fun activities planned! So instead of waiting for the paint to dry before I fit their hats on them, I started stapling them while the paint was wet! Can you guess what happened next????? Yup I got paint all over my cute t-shirt that we had made just for the 100th day of school! Oh and did I mention the paint was on my chest and that we had a staff outing that night at a local restaurant and I didn't bring any other shirt to change into and I had a meeting with the above mentioned parent after school!!!! So yes I met with the parent and went out for beverages with paint on my chest!!! But the hats were cute! 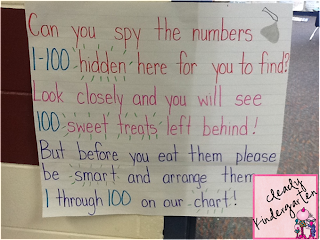 So after lunch I hid 100 Hersey's kisses with the numbers 1-100 written on the bottom for the kiddos to find and put on our 100's chart. I wrote this note and put it on the door to our room. They had to read the note before they came in and listen to the rules no running, you can only get one kiss at a time, you have to put it on the chart on the right number before you can find another. I only had 1 (ok 3) kiddos walk around with a handful that I then had to take and hide again. And we only had 1 kiss we couldn't find (luckily I had extras and could write the number on the bottom and hide it quickly). Yes that means there is still a kiss hidden somewhere in the room! Here is our completed chart! You can't tell but it was an AABBCC pattern. We then figured out how many kisses we could each have. It ended up being 5 per person! They were excited! 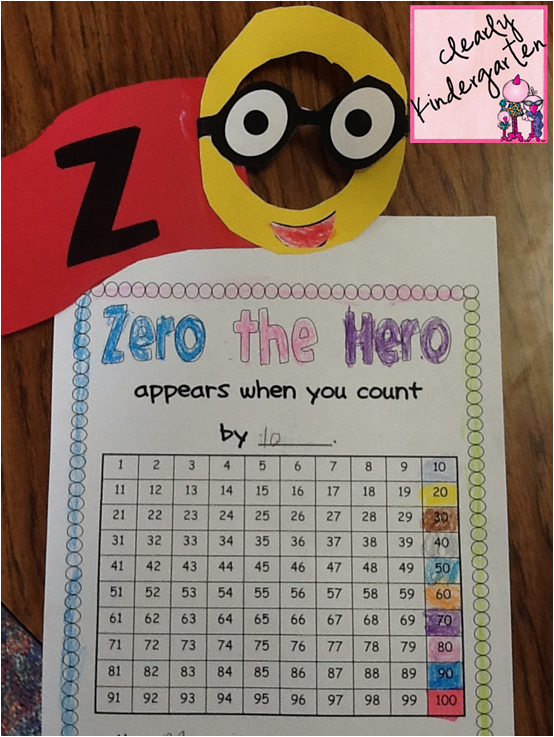 In the afternoon we made the cute Zero the Hero craftivity from Foxwell Forest and read Miss Bindergarten Celebrates the 100th Day of Kindergarten. Then we made our 100's day snack mix with the 100 items each of the kids brought in. They loved it! Overall it was a great day and I survived......but my shirt didn't! 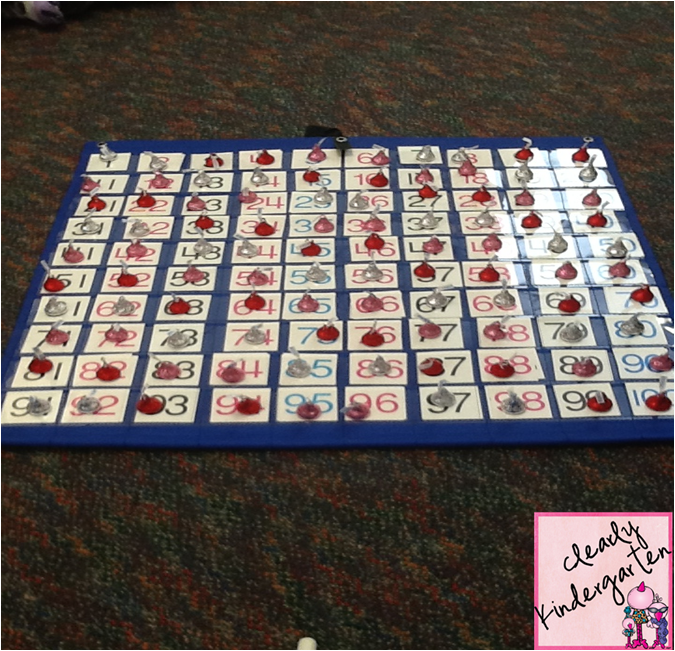 I love your Kisses chart! What a great way to practice number math skills while getting those kiddos up and moving! Thanks! It was the first year I did it and they loved it! I know what you mean, sometimes all the fun does get to be overwhelming. I'm glad that your 100th day went well! All of your activities look like so much fun! We used the same hat from Maria on the 100th day too :) so sorry to hear about your poor shirt, that is the worst! At least the kids don't seem to notice when things go wrong! Love your kisses poem, super cute! I know they just go with the flow, wish I was more like them sometimes! I made up the poem that morning! Sometimes the best ideas come at the last minute! Sorry to hear you are out another week, that is tough! Very cute! 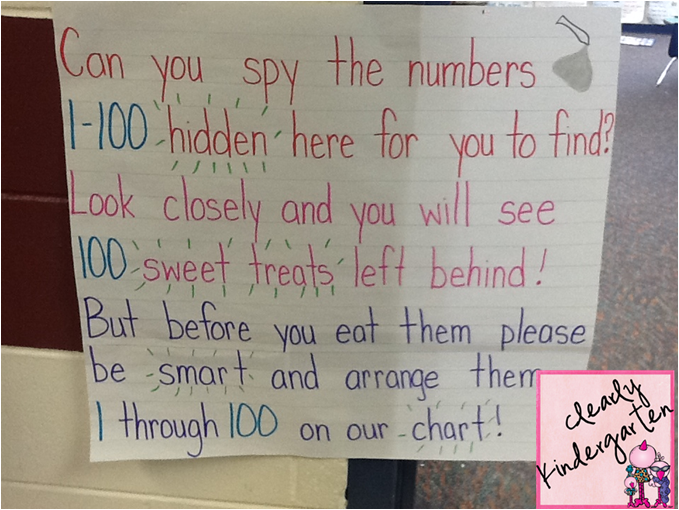 I've done the Hershey Kiss 100s chart before too Nd my kids love it. The Hershey's kisses idea is so cute! Your introduction poem is perfect to get kids excited. Your blog layout is adorable, too. 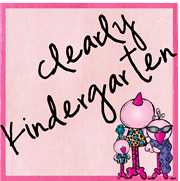 I love the pink and polka dots! And the adorable fancy birdies are precious. I'm sorry about your shirt, but it looks like the kids had a super day! It's always fun to see what other people do to celebrate the day.